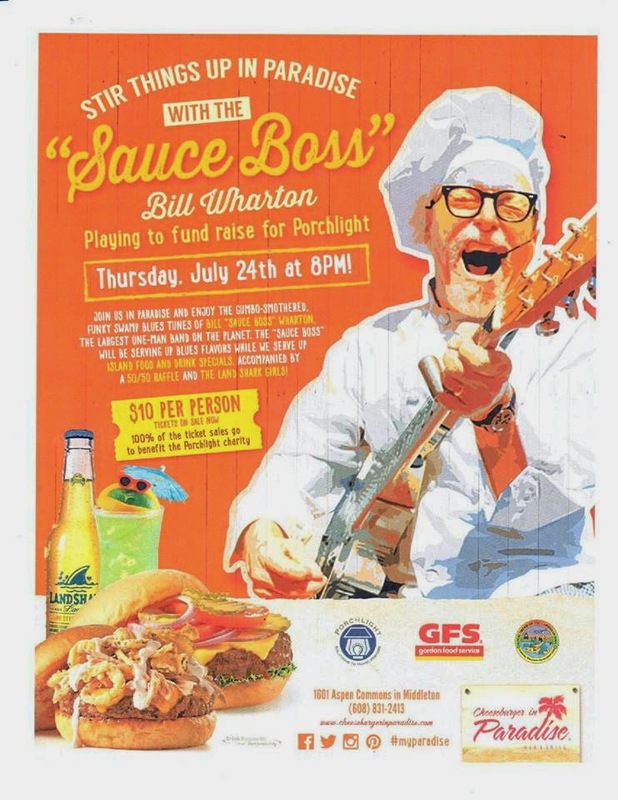 Join the Loyal Order of the Caribbean Soul and Middleton Cheeseburger in Paradise as we welcome The Sauce Boss and raise money for Porchlight on July 24th! Entertainment provided by the one and only Sauce Boss, Bill Wharton! Admission to this great charity fundraiser is only $10! Tickets are available for pre-purchase at Cheeseburger in Paradise in Middleton (1601 Aspen Commons, Middleton) or at Porchlight downtown (306 North Brooks Street) or by contacting an LOCS member (who has some.. ;) ) or email us or call (608) 561-7972.